Join us to learn a fast and easy way to make a holiday stocking. 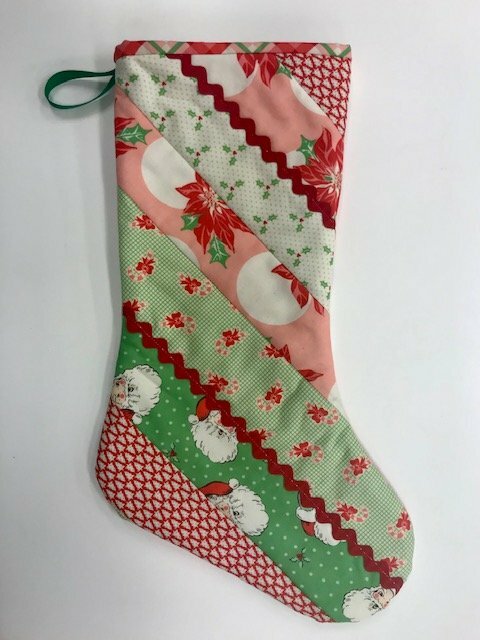 Included in the class is a kit that includes the pattern printed on cotton/poly batting for one stocking along with pre-cut 2.5" cotton fabric strips. Approximate size of the stocking: 10" X 18"
Cost of the class is $50. To register, please call the store or stop in. If you have any questions, please call us at (773) 545-6834.